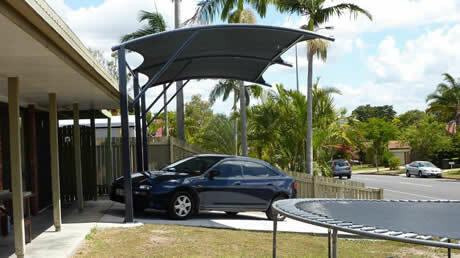 With the ever increasing effects and concerns of our Queensland sun, shade structures are becoming very popular. Some say essential. Increasingly, more shade structures are being erected in family backyards. Shade structures can be free standing, or attached to an existing structure, or a combination of both. We can also design and construct PVC blinds for indoor/outdoor sitting and recreation areas.